There is something about storm clouds that fascinate; you can’t look away. The heaviness of the air, the portension, the myriad of colors not seen in ordinary clouds. Fierce loveliness and beauty, expectation, sometimes fear but accompanied by a quickening of the senses. Storm clouds on your horizon? Yes, there are some on mine. But they could be good, washing away the stale and the old, bringing fresh air, healing, newness. Fierce loveliness. 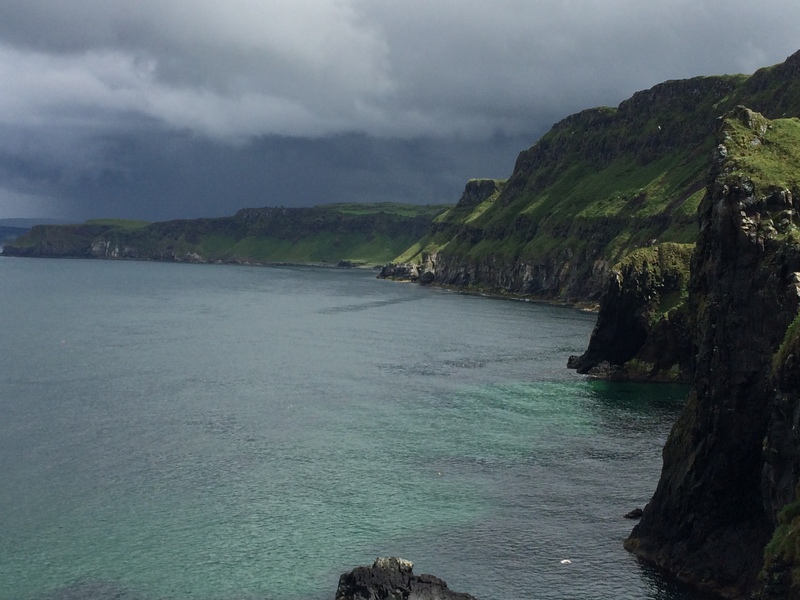 This entry was posted in Christianity, Faith, Family, Life, Photography and tagged beauty, clouds, difficulties, God, Hope, Inspiration, Ireland, Jesus, Northern Ireland, storms by lyonsroarforgod. Bookmark the permalink. Like the Yin and Yang of life, yes? It’s amazing to me how the hard times always draw me closer, hanging on tightly to God. So thankful for the clouds. Thanks for writing! How I was deeply touched by your Fierce in Its Loveliness Post today! Awesome picture depicting just that, as well! “Washing away the stale…bringing the fresh air, healing and newness” ….LOVE THAT THOUHT!! GOD BLESS YOU, LISA! I love the connection between the storm clouds in the photo and the storm clouds of life. However, as you pointed out, they wash out the old and bring in the new! Fantastic comparison!